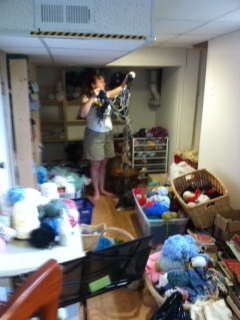 My name is Wendy, and I’m a yarn hoarder [pauses for hellos from the assembly]. Not that this is a problem, mind. 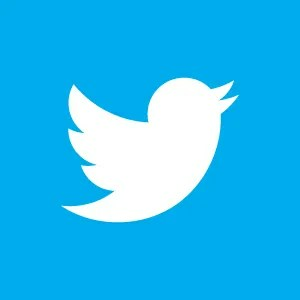 I enjoy my addiction. 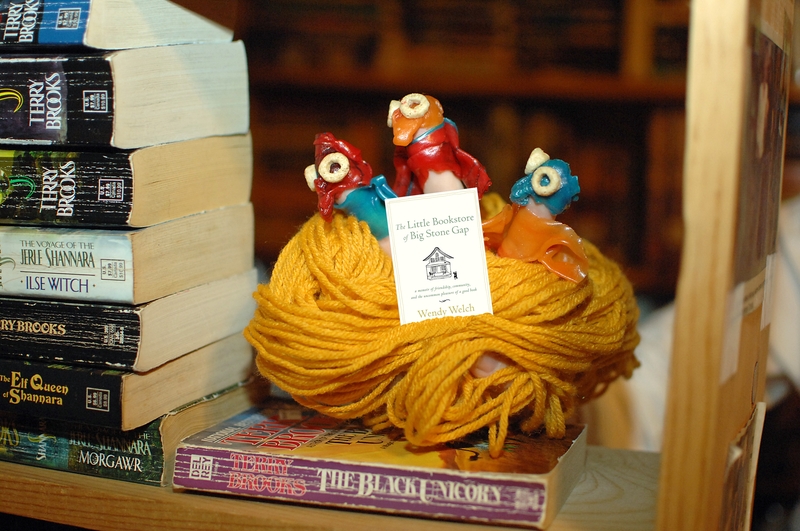 In fact, yarn has taught me many good things over the years, particularly about writing. The processes are similar: sit down, follow a thread, create a whole piece. 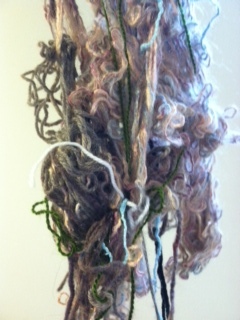 1) Every tangle – be it plot, wool, or life – has two entry points: the beginning, and the end. Find either one, and it will eventually lead you to the other. And help you untie your knots. And leave you with a nice little ball to play with. 2) While tension is required to hold a project together, knowing when to finesse with gentle fingers (or words) versus when to give a good hard yank, is important. Too much tension creates an impossible situation–remember that television series known as 24?–while too little leaves a shapeless messy mass. Enough tension to keep the needle (or pen) moving with surety, not so much that the project fights its own creation: that’s the way to do it. 3) Cats do not help with the actual physical goal, but they sure are fun to have around during the work. Kids, too. Cuteness never hurts, and it lowers the blood pressure. Even if maybe you ought not let the cat or child actually write on any of the manuscript…. 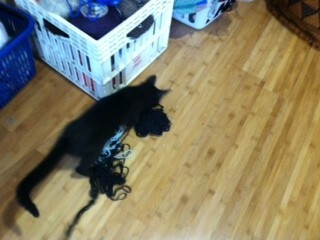 or play with the yarn. 4) When dealing with a particularly large or vicious muddle, the first thing to do is separate out that which does not belong. Not everything in life is tied to everything else, even in Buddhism. Get rid of the bits that don’t contribute, and what you have left is a thread you can follow. Of course some projects are made of multiple colors and threads, but the time to weave them together is after they’ve been disentangled from each other and understood as themselves. 5) Don’t underestimate how much you’ve got to work with–or how fast words can pile up. Sure, kids, meals, day jobs, and the other stuff get in the way, but when you pick up your project–be it knitting needles, or nouns and verbs–just give it a few rows and don’t worry about speed. When you look back from the far end, you’ll be surprised at what those little bits and pieces of time and effort added up to, over the long haul. 6) Have fun. Joyless crocheting is like joyless writing: dull, misshapen and lumpy. You’re doing something cool. Disappear into it. Dive deep. Tangle and disentangle, sing the colors, swing those needles, and drink wine–or diet coke. It’s your project. Do what you want! Today’s blog is Wendy’s essay up on NPR Books. You can see it on the NPR page at the link below. As a small-town girl, I love depictions of rural living when they’ve got a little style and sass in their makeup. Replete with enough quirks and quaintness to choke a mule, small towns are timelessly fertile ground for writers. But the best authors ignore — or even play with — stereotypes to tell truly compelling stories. Stella Gibbons has plenty of sass. 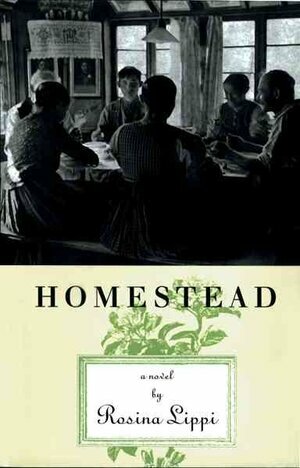 She was writing in the 1930s, when the “local color” movement glossed all things rural with sentiment, and farms were described without even a whiff of manure. Her comic novel Cold Comfort Farm stuck a pin in the balloon of idyllic country living. 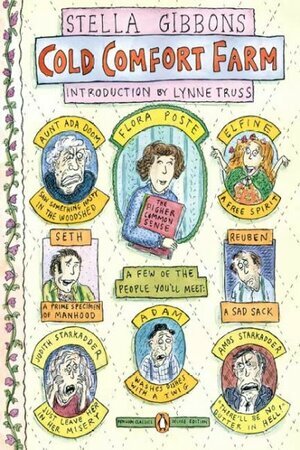 Featuring the Starkadder family, the cast includes oversexed farmhands Seth and Reuben, crazy Great Aunt Ada in the attic, and their sensible city-dweller cousin Flora Poste, who is capable of “every art and grace save that of earning her own living.” In one of the loveliest meta-storytelling devices ever, Gibbons marks her best passages with one or two asterisks, for the reader’s enhanced enjoyment. This book makes me laugh out loud every time I read it, which is at least once a year. Fewer laughs and more tears come from Rosina Lippi’s Homestead. A series of linked stories, it chronicles six generations of women in an Austrian mountain village, starting about 1909. Her characters are drawn with casual grace, and her understated writing is insightful and beautiful. In one tale she describes the interaction between a man and a woman negotiating sexual politics, as “Francesco had feared to ask too much of her, and saw, too late, that he had asked too little.” Quiet stories, and gentle ones, they depict the inner longings and outer strength of mountain women everywhere. Through the influence of the charismatic pastoral couple Andre and Magda Trocme, the isolated village of Le Chambon became a “city of refuge” for Jewish people in Vichy France. Philip Hallie tells the story in academic language peppered with anecdotes and first-person interviews. Any small town has rivalries and factions, and these played into simultaneously creating sanctuary while dooming some rescuers. 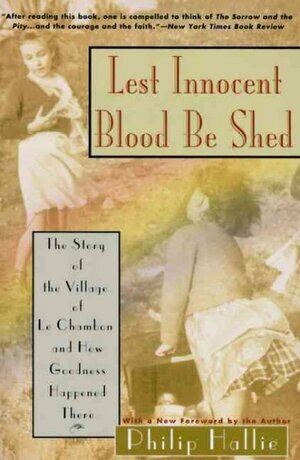 Le Chambon is part of that era’s larger story: the daily interactions of one small town set against the backdrop of hell come to earth. These three writers reached into the enclaves of mountain villages, subsistence farms and human hearts — and gave us funny, sweet, sorrowful insights into small-town lives lived large. Wendy Welch is the author of The Little Bookstore of Big Stone Gap. Three Books…is produced and edited by Ellen Silva and Rosie Friedman with production assistance from Annalisa Quinn. The last stop on loop two of the book tour was Charlotte, North Carolina, where the Women’s National Book Association held a Bibliofeast in honor of Book Month. I didn’t know much about the place before we got here, but Helen, a friend from college, is a member of the corporate culture and explained that Charlotte ranks only behind New York City and San Francisco as the leading financial district in America. Catching up with Helen—who in the intervening 20 years has risen in her field and raised two teenagers—was grand fun; we used to tease each other mercilessly, me the journalism major bent on “uncovering truth,” she the logistics and transport businesswoman who always won arguments by pointing out I could write all the truth I wanted, but if her trucks didn’t deliver it, it affected diddly. We agreed that the Internet had changed both our professions considerably since those earnest and robust exchanges. But the bulk of the night was given to the Bibliofeast; eight writers, from mystery to memoir, gathered to spend 15 minutes per table with aspiring authors and bibliophiles from the region, talking about writing in general and our books specifically, then fielding questions. One person asked, “When did you know you were going to be an author?” and I answered, “When my agent called me.” The women laughed, but it sparked a discussion that continued at the other tables. Most of the participants were shaping books in their minds. They wanted to know what had sparked mine, and I echoed Joan Didion, that we write to organize our thoughts, to find out what we know. And we write because it’s fun. 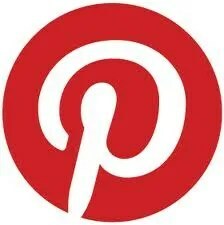 Musicians create music, sculptures fashion substances, cooks craft food. Everybody’s got a medium. If yours is writing, you write because it’s there. I’m not kidding, and I’m not waxing eloquent. To paraphrase a whole lot of authors over the years, the best way to tell if you’re a writer is to look down and see if you’re writing. Writers write the way runners run; it happens because you protect the time, give up other things to do it, without really thinking you’re making a decision. Even if you never publish, you write when you’re thinking the same the way you drink water when you’re thirsty or call a friend when you’re lonely. You write because you need to, want to, like to; it doesn’t feel so much like a choice as a way of life. However, you publish because you want other people to read and like what you wrote—or because you can, or because you hope for money or recognition. (Oh, honey, let me buy you a cup of coffee and let’s chat about that last bit.) That’s different than writing; for one thing, there’s a helluva lotta marketing lurking below the surface, which most of us are not innately good at. That was the biggest common theme at the tables of the Bibliofeast, an intimate night with lovely women–to a man, we were women, with the exception of one author who looked more and more uncomfortable as the night wore on–who had a lot of thoughts but not a lot of time to get them on paper: that the urge, the internal nudge to write is the biggest signal that one should, and its own justification. Just write it down. Get started. Have fun. Go. Jack and Wendy will be Malaprop’s in Asheville, NC this Sunday at 3 and in The Country Bookshop in Southern Pines, NC Monday at 6, if you or your friends and relations would like to come say hi. Jack brought his homemade shortbread. I (Jack) was part of the emerging Scottish folk-music scene at around the same time that like-minded young Americans were heading for Greenwich Village to discover much the same buzz and counter-culture. In the early 1960s, subversiveness had a musical soundtrack. My Edinburgh-centered version had little direct musical connection with its American cousin, other than very occasional imported albums and songs heard 2nd or 3rd hand from the likes of Archie Fisher or Josh McCrae, but the undercurrent of questioning authority and plotting the green revolution was similar. In my case there was also a Pete Seeger concert in Edinburgh and a stage shared with Carolyn Hester in Aberdeen. 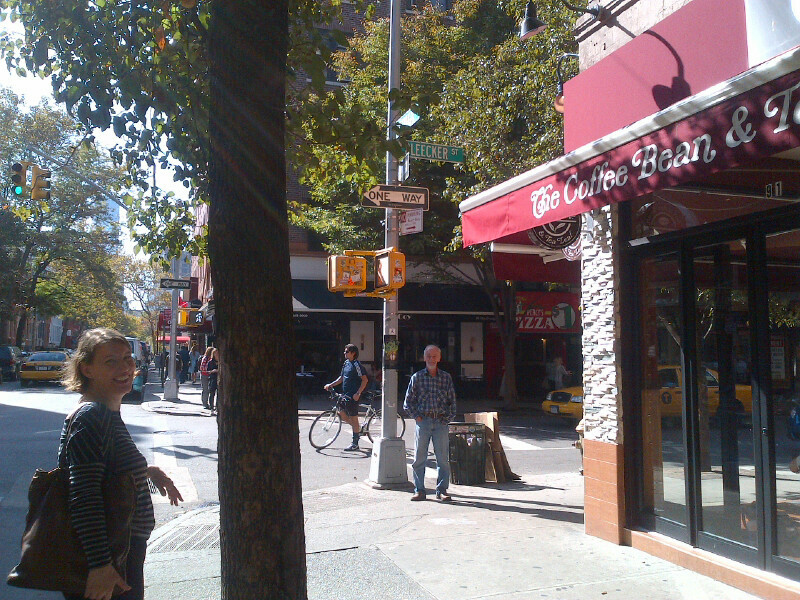 But I had never been to Greenwich Village – until last Saturday, that is! 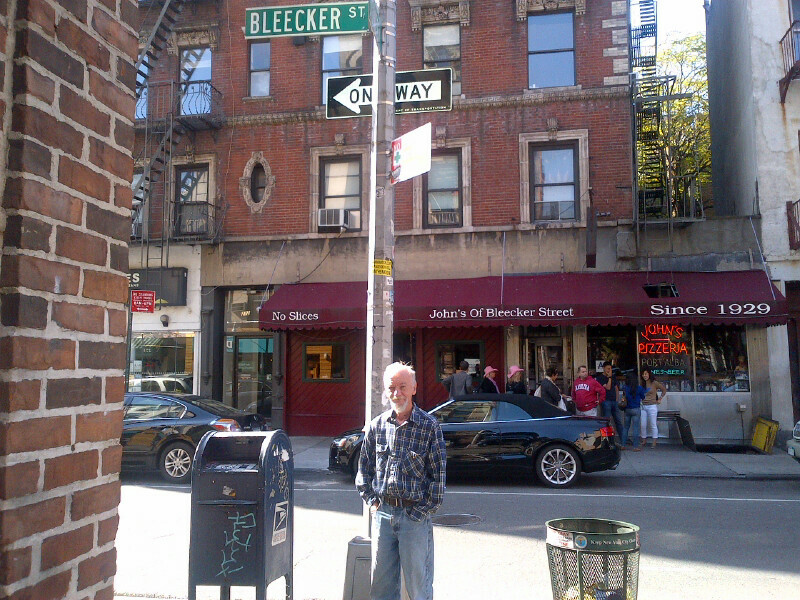 Finding ourselves in New York and asked what we’d like to see, Wendy gave me a grin and said, “Greenwich Village.” And so I got my picture taken standing in Bleeker Street, then McDougal Street and finally in Washington Square Park. An old ghost had been laid to rest; a place that had assumed near-mythic proportions in my mind was beneath my feet and in my view. Although the area has no doubt changed a lot—we saw boutique shops and chain stores where some of the old folkie corners had once questioned how we lived our lives—the buildings are mostly unaltered, the cellars still there though fulfilling a different function. 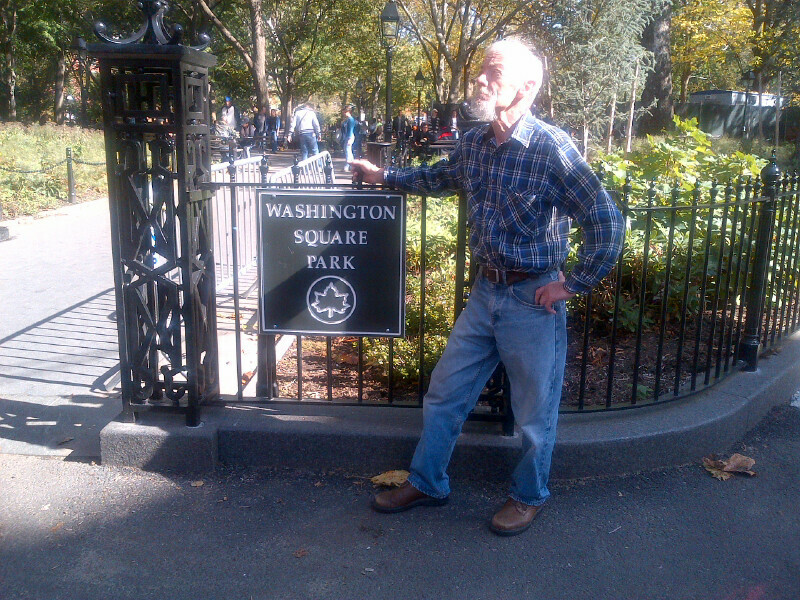 It was a lovely day out for this child of the sixties, to see where the great ‘Folk Scare’ was rooted and the park where the ‘revolution’ was plotted as young musicians who would later become household names gathered to jam. Finally, the following morning we shared breakfast with our hosts, including Nichole’s father-in-law, Harvey. (Nichole is Wendy’s editor at St. Martin’s Press.) It turned out that he had been to the NYC parties back in those days when Bob Dylan had also attended. Conversation at the table took us both back to respective youth and shared cultural signposts. I was able to reminisce about attending Dylan’s 1966 Edinburgh concert, just 2 days before the famous ‘Judas’ accusation in Manchester. A very happy and poignant experience for Harvey and Jack, a couple of old folkies tripping down the musical lane of memories!